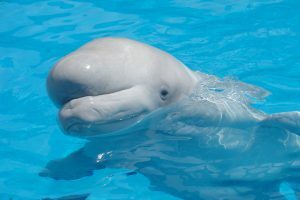 The article on the “beluga whale sanctuary” by Merlin Entertainment and WDC shows why the sanctuary is not animal-friendly and explains the double standard behind it. The WDC praises in a recent post in Germany a new sanctuary by Merlin Entertainment. We had previously reported on the connection between the Group and the representatives of the animal rights industry. After the animals in the public were treated very stepmotherly, now they are trying to market the desired new sanctuary. The “refugium” is to be built just where Keiko’s bay pen has been difficult to manage, due to the weather caprioles. The bay pen didn’t mean more space for Keiko because it had about the size of a show pool at SeaWorld. Mark Simmons described that for days, due to the weather conditions, it was not possible to take care of Keiko and thus it can be described as not even so brilliant idea to build exactly there such a sanctuary. Choosing such a bad place means that animal welfare was seemingly not one of the top priorities. Will Xiao Bai & Xiao Hui be the next victims of the animal rights industry? Two white whales, also known as belugas, are left. The third female, Jun Jun, died in June of last year. Female groups are generally not a natural grouping for belugas. In the wild, there are no bachelorette groups and thus the husbandry of females alone in a transitional phase is okay, but in the long term, this has nothing to do with species-appropriate husbandry. These two females would need contact with a male in a facility to meet their basic needs, which would allow them to found a family. The transfer to the refuge only cements the not animal-friendly husbandry, but also a poor social environment. Xiao Bai and Xiao Hui will only wait for their death in the sanctuary and have no chance for a species-appropriate life because they have to live in an unnatural constellation. For the animals, nothing will be really better, because their core problem does not solve. But they would need a solution to have Beluga-appropriate lives. Both were captured in the wild in Russia almost ten years ago. Of course, they do not have a chance of release. The still very young animals will thus live their lives for decades in questionable care, instead of coming into professional hands and having the chance to live in an appropriate manner in a modern husbandry. The project will be the next million grave made by the animal rights industry – except those in charge who remember the welfare of the animals and turn them into experienced keepers. Supposedly one fights against the small whale protection there, but for the sanctuary, one uses the problem also gladly for the own purposes. It is important to realize that such a husbandry would not have been acceptable in a country where whale protection is a high priority. Such a project has absolutely nothing to do with serious animal husbandries, such as that of accredited zoos and aquariums. Belugas do not actually occur in Icelandic waters, as you can easily see. Although there are individual strays of stray animals around Iceland, Great Britain or in the Baltic Sea, they do not normally occur there. There is thus a danger of faunal corruption, which serious animal, species and nature conservationists always want to avoid. There are even meaningful laws and regulations within the EU and under various alliances to avoid this. Iceland is not a member of these, and, as we recall, whale protection is not a premise of legislation. A journey of around 9,000 kilometers awaits the animals. By plane, you are, without the inclusion of a stopover, more than 10 hours on your way. Then you would have to bring the animals but also on the Westman Islands, which would only work by land and with a ferry or after a change of the plane. The extent to which the transport by plane is possible remains questionable since the airport of the Westman Islands is not geared for large planes. A little more than five years later WDC doesn’t have a problem with such a transport as soon as serves WDC’s own ideology, then the WDC has no problem anymore, which of course is very unmasking. 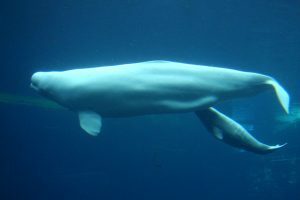 In fact, there is a crucial difference between transportation to the Georgia Aquarium and the Beluga Sanctuary: transport to the Georgia Aquarium would have transported the Belugas into an animal-friendly husbandry, which, as stated, clearly does not so in the beluga whale sanctuary. WDC ultimately sells a lie here: they’re doing greenwashing of an attitude that they ought to be against. In the dolphinarium question, however, WDC has already left the ground of facts completely: years ago a biologist wanted to cheer parliamentarians in Germany with a not true-to-scale drawing in order to raise them against dolphinariums. So, apparently, they do not shrink from manipulation. It’s sad the beluga whales now seem to become victims of the ideology of WDC and Merlin Entertainment. The last hope for the two females is that WDC and Merlin give up the project as quickly as possible for the benefit of the animals. Unfortunately, this is not to be expected because the animal rights industry has no scruples about miserably destroying the animals, as long as it only serves their own ideology. This is also what the case of Keiko has shown.